Economic experts have complimented the efforts made by the Vietnamese government to counter the global economic downturn as well as curb domestic inflation. Local and foreign experts were meeting at a conference organized by the Ministry of Investment and Planning on September 6. They hailed Resolution No.11, drafted by the government on macroeconomic development as having earned Vietnam big gains though much more needs to be done to fix the current volatile and shaky economy. Resolution No.11 was passed by the Prime Minister in February this year. It was aimed at curbing inflation, stabilizing macro economy, and guaranteeing social welfare. Victoria Kwakwa, Director of the World Bank in Vietnam, said at the conference that Vietnam has achieved substantial growth in socio-economic development with strong export growth and positive results from its social welfare campaigns. These achievements will be a boost for Vietnam to grow even stronger in the coming years, Kwakwa added. Nonetheless, she mentioned some bad news for Vietnam’s economy such as export growth not being sustainable and loan interest rates being too high. Experts warn Vietnam of having the “highest inflation in Asia” of 23 percent, of being the worst performing currency in Asia and having the lowest dollar reserve since 1994, while almost all other Asian countries are increasing their FX reserves. Kwakwa suggested that Vietnam continue following Resolution No.11 to reach double digit targets on developing economy and social security. Benedict Bingham, the International Monetary Fund senior resident representative in Vietnam, warns that the global economic crisis and public debts will continue affecting economies, especially an open economy like Vietnam’s. 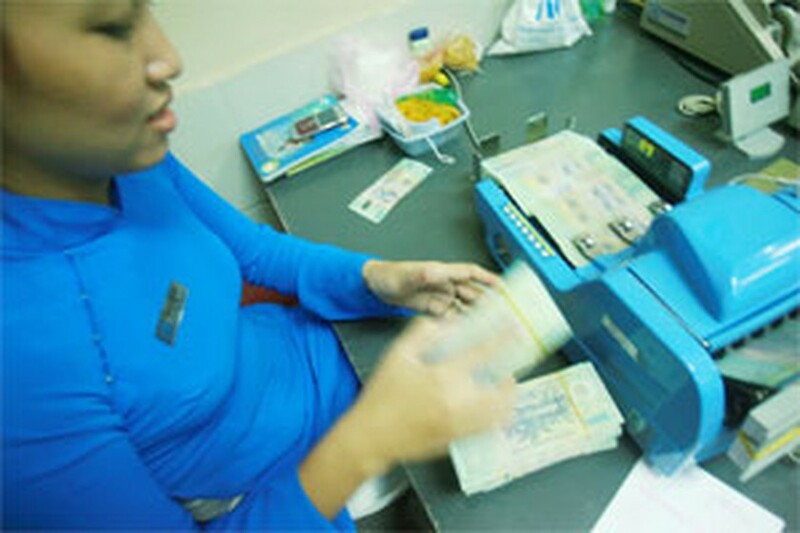 Bingham said that Vietnam in the future needs to restructure the economy for sustainable and effective development, avoid bad debts and keep the dong rate stable. Many ambassadors of countries in the region such as Japan, South Korea and Australia, said that Vietnam should pour more investments into agriculture, which means the country should see agriculture as a major advantage for the economy and send more money to rural areas. While investing in industry, the country should reform administrative procedures to make investments really effective, they said. The officials and experts promised to support Vietnam further during this difficult time. Prime Minister Nguyen Tan Dung, chairman of the conference, said Vietnam will seek for long-term solutions to fix the weak links in the economy, including restructuring of the economy, paying more attention to social welfare and attracting more foreign investments. The PM said Vietnam will place higher priority on curbing inflation, which is expected to reduce to 18 percent by the end of this year and to a single digit by next year. He said the country will tighten control on public debts, reform state-owned businesses and restructure commercial banks.